I am still new to the Deathstroke series, but not new to superheroes or DC Comics. As I learn more about the characters in each novel, I am tempted to visit the library to start from the beginning, much like I’ve done so far with Wonder Woman and Batgirl. Not likely, but I can only hope. Anyway, this is about Deathstroke the Terminator and not Wonder Woman! Deathstroke Volume 2: God Killer, written by Tony Daniels, is the second in the Deathstroke DC Comics Superhero Saga and collects Deathstroke #7-#10. It was published on March 1, 2016, and it received more positive notes than its predecessor, “Legacy – The New 52,” written by Kyle Higgins. Fans of Higgins seemed to think his novel was over the top and that he was forcing Slade Joseph Wilson to be something, he couldn’t or didn’t want to be. I’m not sure why this exactly but it could be for a number of reasons. Higgins might have done it on purpose, to make Slade seem weak. If this was the case, he did a good job. Slade is described as an aging superhero in need of retirement but he still has the strength to spray blood, death and destruction across nearly every page. He may also appear weak because Higgins was simply not able to develop his character as he wished. Whatever the situation, it was obvious to fans but to most it didn’t seem to matter. Overall the book was an easy read and fans enjoyed it, but Volume 2, ended up on top. In Deathstroke Volume 2 : God Killer, Deathstroke has a new mission: To kill a God. He has received his assignment from Hephaestus, the armorer to the gods of Olympus. He is told he must find Lapetus and destroy him. Lapetus, the god of mortality, is in prison, and Deathstroke is being sent to destroy him. This is certainly an odd combination because there is doubt as to whether or not gods and Greek legends actually existed in the 8th century BC. If they did, then Daniels does a good job blending reality with fantasy when he sends Superman and Wonder Woman to upstage Deathstroke. One has to wonder why Daniels chose this route, but it seems to work. He certainly is not the first author to do so. 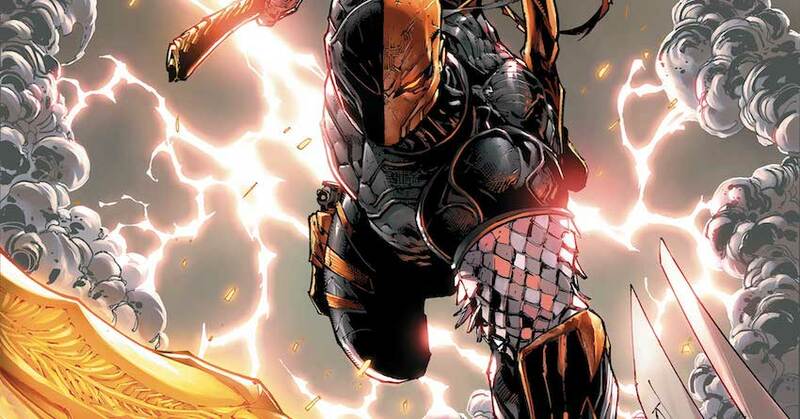 Deathstroke still remains a force to be reckoned with. Daniels does an excellent job of keeping Slade’s powers right where they need to be, a notch below those who have been sent to destroy them. 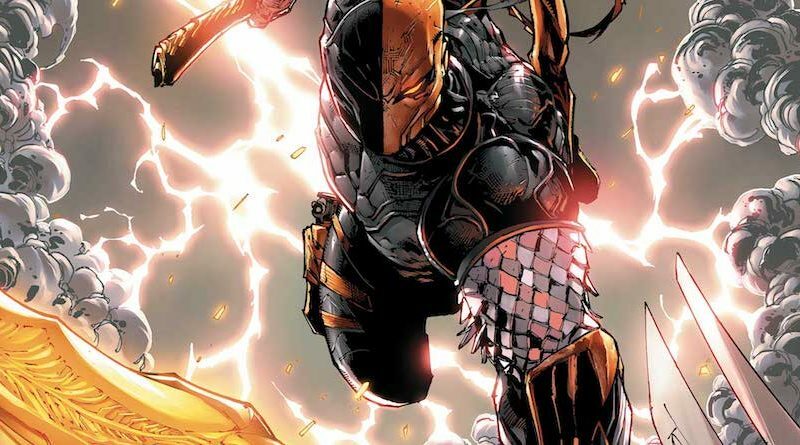 Readers responded in a positive manner to Deathstroke having enemies. Speaking of enemies, one might wonder why Daniels chose Wonder Woman and Superman instead of Batman, Green Lantern, or The Flash. I believe he chose Wonder Woman and Superman because they are the characters that sell the novel, they are more popular and more well known than Deathstroke. It could also be because each has their own unique power that brings something different to this novel in particular. Wonder Woman has super human strength that allows her the longevity she needs in order to bring down Deathstroke. She has amazing hand to hand combat which is helpful when attempting to defeat an assassin. I will tell you though, as someone who believes in equality that I admire Wonder Woman. She can go from sun up to sun down without stopping. If only I had half the energy she had. Superman has a toughness when it comes to taking physical punishment. He is strong when it comes to muscle power and he has x-ray vision. He also has the ability to freeze an enemy in their tracks, but he has weaknesses as well. Wonder Woman and Superman appear somewhat weak when compared to Deathstroke. He is strong and powerful and he possesses amazing strength, endurance and reflex capabilities. Whatever the reason, Daniels brings all three together for the fight of their lives. It is a battle each are hoping to win, but only one can walk away with a victory. Illustrators James Bonny, Tyler Kirkham, and Sandu Florea are brilliant when it comes to the artwork in Volume 2. The cover leads readers to believe that Deathstroke is bigger, and more powerful then Superman and Wonder Woman, though they soon learn this won’t be the case. All three characters are chiseld with muscle , armed and ready to do battle. Readers are somewhat disappointed that each novel has its own team of illustrators but overall, the artwork gets a positive rating. I won’t spoil Deathstroke Volume 3: Suicide Run for you, because it was just published in April and at time of writing I haven’t read it yet but I do own it. But I will tell you that Daniels adds a whole new cast of characters to the mix, in the form of Suicide Squad. If you want to learn more, you’ll need to read it for yourself. When you are finished, feel free to leave us a review, telling us exactly what you think. Similarly to God of War, Daniels tries to do too much at once which leaves the storyline rushed and disjointed. However, praise is due for the stunning artwork throughout. If you’re after some mystery or intrigue then stick to the Batman and the bat family. If it’s action and gore you’re after though then give this a try.